Interlocking concrete pavers lend a traditionally elegant appearance to driveways, patios, pool decks, and walkways that cannot be rivaled by any other material. Colors, patterns, and styles provide homeowners with a selection to suit their personal preference and taste. 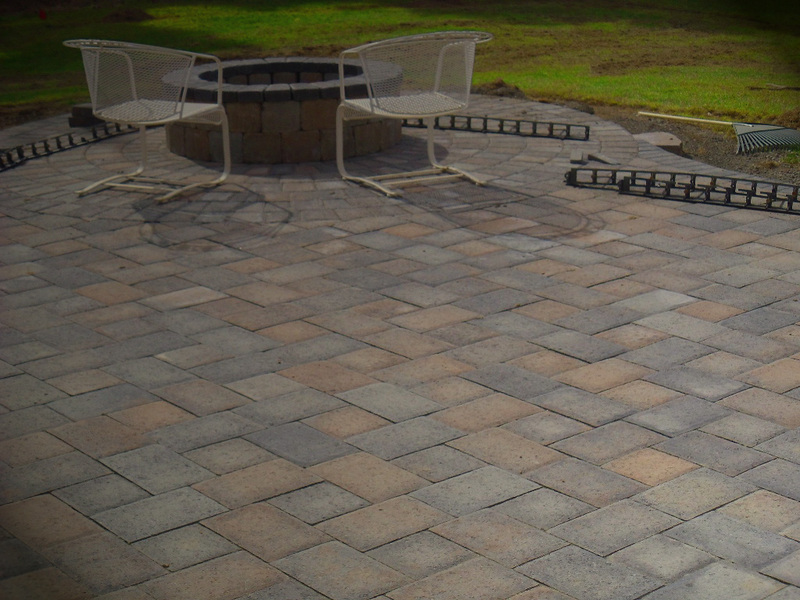 Legacy Lawn & Landscape offers its interlocking concrete pavers to suit any home at affordable and comparable prices. The interlocking concrete pavers will not crack, as they are more flexible than other materials and they are earthquake resistant. The paving stones are the only surface covering that can be repaired if necessary by replacing individual stones with new ones. It is impossible to clean and conceal paint or oil and grease stains from other surface coverings and repairs to cracks can be an eyesore. Legacy Landscape has in house highly-trained craftsmen who install its interlocking concrete pavers. In less than a week, cracked concrete driveways or patio decks can be replaced with beautiful, interlocking concrete pavers. Up to four hundred square feet of paving stones can be installed in a day and a driveway measuring twelve hundred square feet would amount to a project that would take about three days.